In July of this year our good friends at CREW 2000 warned about strong batches of Ecstasy and Ecstasy containing PMMA. We at Global Drug Survey thought their info and advice was excellent and so we have republished it for you to read. Reportedly strong batches and varieties of ecstasy around on the scene, so any users determined to use ecstasy should take care with dosing so as to stay safe. Not wishing to add to any media sensationalism, there have been various recent user reports of people taking multiple quantities of tablets and experiencing difficulties. In Crew’s experience this has been true where people have taken too much and/or have mixed with other substances such as alcohol. For the last few years the active ingredient in Ecstasy has varied, often not being MDMA, which has caused patterns of use to change. Many users have become accustomed to taking multiple tablets in a drug using session. Please remember ecstasy tablets can contain different substances including MDMA and other drugs such as BZP or other piperazines and purity levels can also vary. Even if you are an experienced user, please follow our harm reduction advice to stay safe as batches can vary. 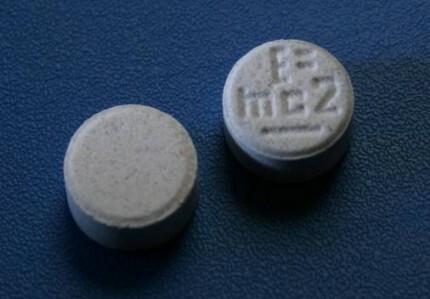 Some ecstasy batches and legal high products have been analysed to contain the substance PMMA. PMMA is a stimulant and class A drug. It is structurally similar to PMA which has known toxicity and the SCDEA have released information about its links to 19 deaths in Europe.Although users report similarities to effects of MDMA, many argue that effects can feel less potent than MDMA which can result in users re-dosing and thus increasing the risks. Start with half a pill and wait at least 1-2 hours before re-dosing. Avoid mixing with other substances including alcohol. Take regular breaks from dancing. If dancing, drink water or isotonic drinks so as not to dehydrate but be careful with water consumption, don’t go over one pint per hour. Look after your mates and seek help if you need to. Fatalities with ecstasy are relatively rare but users can experience some unpleasant side effects especially at high doses or where it is with mixed with other substances. As mentioned in the harm reduction advice, drinking too much water can also be an issue although it’s important not to dehydrate. A condition called hyponatremia (low sodium levels) can be exacerbated by water intoxication especially where one is not losing fluids by sweating or urinating. As MDMA often affects your desire/ability to go to the toilet, this can become an issue, especially if you are not dancing. The Leah Betts case was due to this very issue. The above has been edited and republished with permission from CREW 2000. The original articles are ‘Ecstasy Warning’ and ‘Drug Warning-PMMA’.